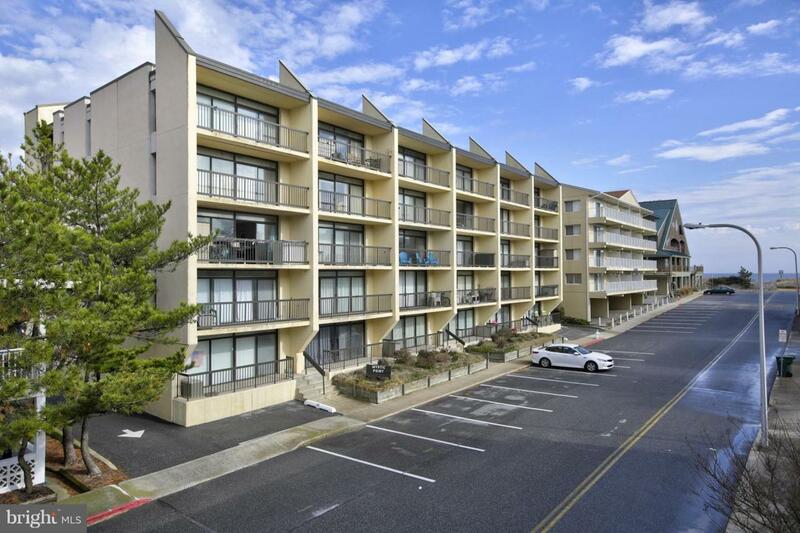 2 bedrooms, 2 bath ocean-block end unit mid-town! Masonry building condo on 3rd floor with elevator. Sold furnished (very few exclusions). Large balcony with ocean views. Washer/Dryer in unit. New in 2015: front door & screen door, kitchen sink and all new faucets, new rainfall shower head in hall bath, condo repainted and kitchen cabinets painted. Newer dishwasher and washer/dryer.